Learn how to make and hang these easy DIY outdoor curtain rods in just 10 minutes! Simple tutorial and supply list included. 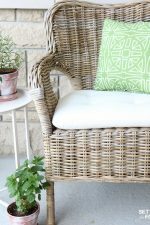 Bonus: these outdoor bamboo curtain rods won’t rust or rot! Hang outdoor drapes in a jiffy with this clever outdoor curtain rod hack to decorate your gazebo or porch. 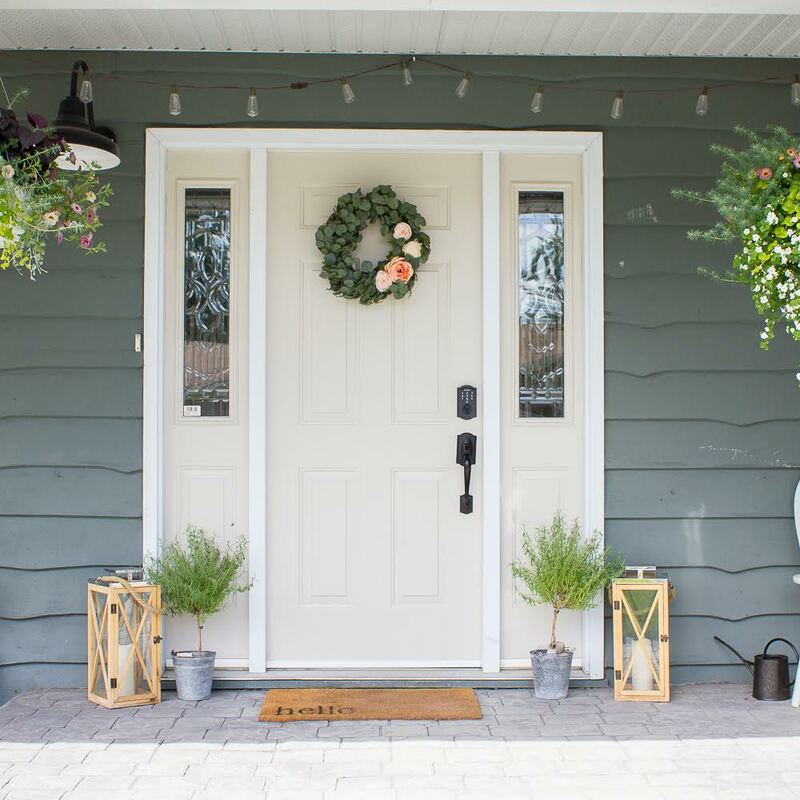 Turn your home’s exterior into a breezy, beautiful oasis! Make Easy DIY Outdoor Curtain Rods In Just 10 Minutes! Ah summer! 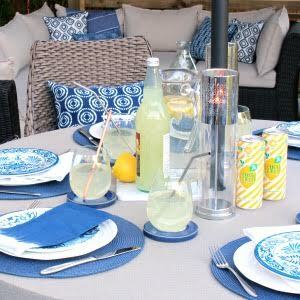 Summer is all about enjoying the outdoors, the sunshine and the summer breeze! 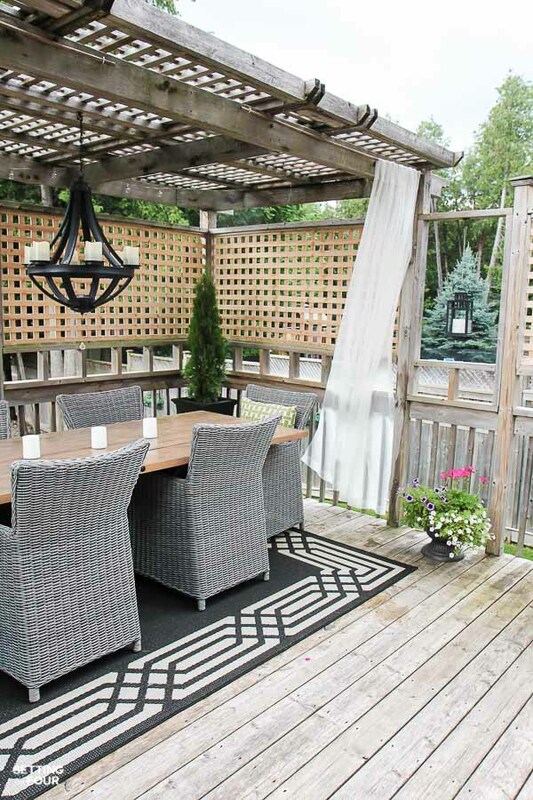 Our summers are really short here in the north so we love to spend as much time as possible dining al fresco in our gazebo at our DIY wood trestle table or sitting on our porch with a glass of ice tea! This summer I hung up some beautiful white flowey drapes to our gazebo to add some whimsey and bring the indoors outside! I LOVE LOVE LOVE them! 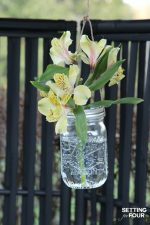 Today I want to share with you how I hung them in a jiffy with no power tools involved! 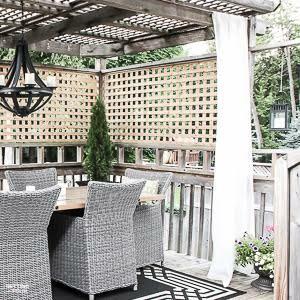 Outdoor drapes add such beautiful ambiance to outdoor spaces but hanging them can be tricky and time consuming! There are outdoor rods made from pipe or pvc that require a lot of time to put together and to mount too. BUT: I have an easy and clever cheat way to hang outdoor curtains so you can enjoy them quicker! 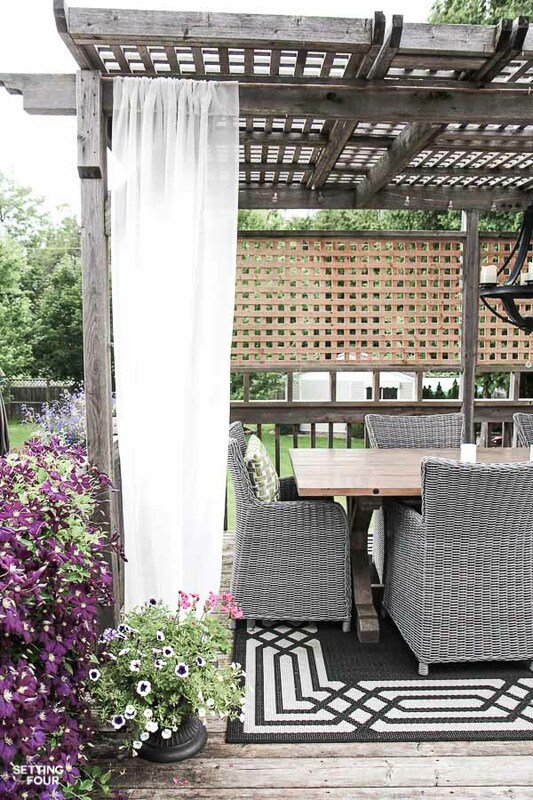 In just 10 minutes you can hang outdoor drapes – like these – I’ll show you how! I added these 2 curtain rods to our outdoor wood gazebo. 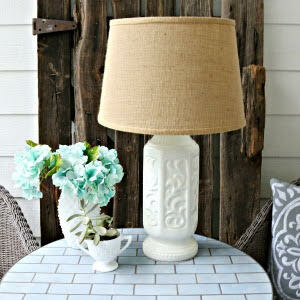 You can add them to a porch, deck or patio if you have a wood frame to attach them to. My DIY bamboo curtain rods hang from a wooden brace at the top of our gazebo as you can see in the photos. They have never fallen down in the wind because the cup hooks hold the rods in place. 1. Hang the curtains onto the bamboo poles. 2. Add one cup hook to the wood frame 2 inches from where you want the curtain to hang. Screw it into the wood frame of your gazebo or porch. For me this is two inches from the gazebo’s vertical beam. Screw the cup hook into the wood so that the opening is facing up (not down). This will hold the pole into place. 3. Put one end of the bamboo pole into the cup hook and mark the other end of the bamboo pole. 4. Add the second cup hook to the wood frame and place it two inches from the place where you marked the end of the bamboo pole. See my pictures below as a guide. 5. Place the bamboo pole into the two cup hooks. 6. Fluff and spread out the curtains as much as you want. 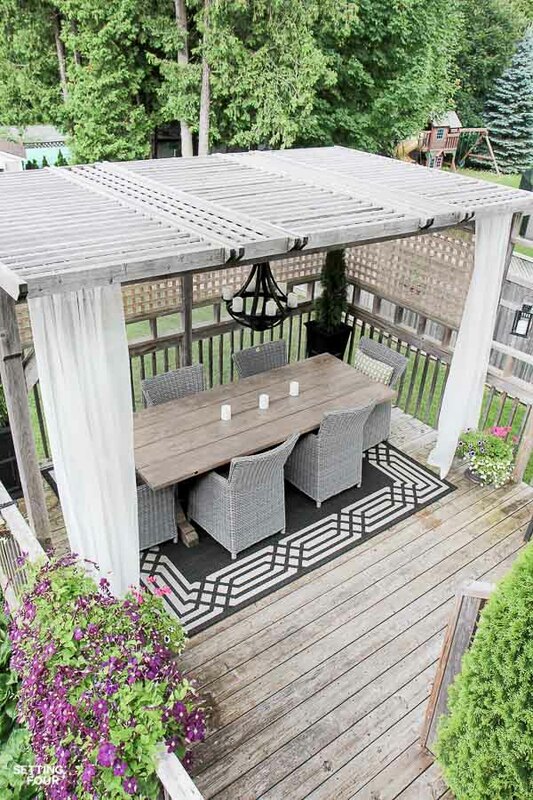 The curtains slide really easily on the bamboo pole – so I can open them all the way or push them back tight against the frame of the gazebo. Sorry I couldn’t get a better picture here – it started to rain and I had to take a quick picture then run inside! I really love how quick and easy these gorgeous drapes are to hang! These easy DIY outdoor curtain rods are also super easy to take down, to store the drapes over the winter. Leave the cup hooks in place and just remove the bamboo poles from the cup hooks! Then remove the drapes from the bamboo poles to wash and store over the winter months. Store the bamboo poles in your garage, a shed or basement to use next year. Next summer all I need to do is hang the rod and curtains back up! That won’t take me any time at all! 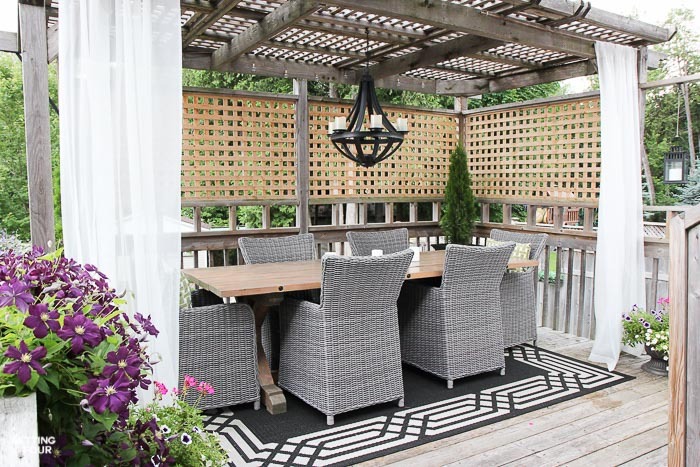 Gazebo Dining Area Resources – click on the links to see more about each item! Outdoor battery operated chandelier – This is so pretty when turned on at night! Wood trestle table – we built ours (instructions are here) but this rustic charcoal one is stunning and has a leaf in it to extend it! 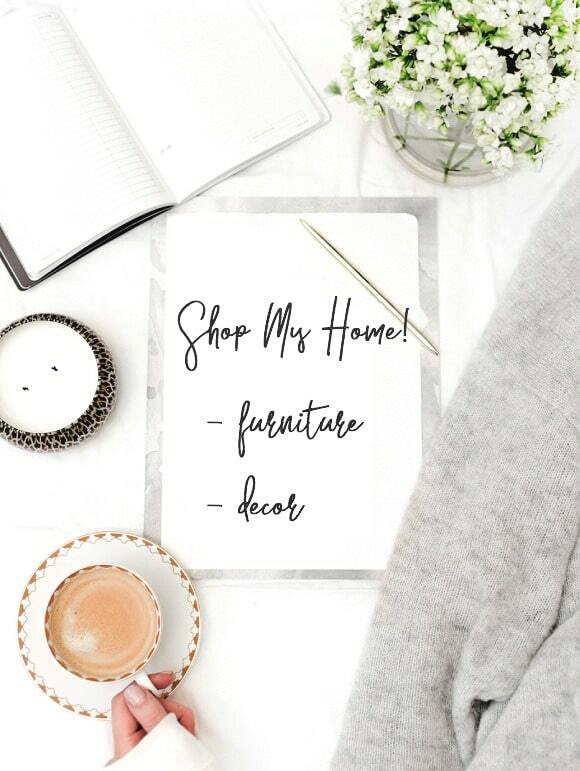 Want to know where I’ve bought all my furniture and home decor in our home – so you can get ideas for your place? You can see it all on my SHOP MY HOME page here! 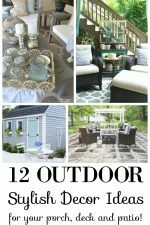 Do you love outdoor drapes? Do you think you’ll give this tutorial a try? Let me know in the comments below! I sooo love the idea of using bamboo for curtain rods! I moved from Massachusetts to St. Augustine, FL – and this idea is going to be just perfect. Also perfect is the information on how to make cushions waterproof!! GENIUS!! I have a porch and a balcony – and I’m going to use this idea as well. Wonderful Cecile!! 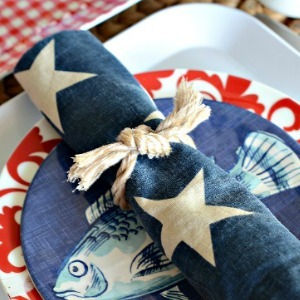 I’m so thrilled you love my waterproof cushions trick and this outdoor curtain rod idea!! Thanks for visiting and sharing your comments- I LOVE to hear feedback on my posts! I hope you are enjoying Florida!!! Oh my gosh! How brilliant! I cannot wait to try this in our own backyard (whenever we finally get around to tackling it)! Hi! I really need to hang curtains for my outdoor porch. We are having a graduation party for my daughter next weekend. When the sun sets it is glaring right into our screened in deck. Do you think the sheets will help block the bright sun? Is bamboo waterproof? My deck is rather large, 16×32- I would need a lot of bamboo sticks if they are only 6ft long. Do they come longer? With the cup rings, can you only open the curtains until that point? Sorry for all the questions. Appreciate any advice. I need something quick, and simple – I have so much to do. Also, the length is 88 1/2 inches long, so I just get 84 and have them short? Hi Lynn! The bamboo is waterproof and you can buy it in 8 foot lengths. They are really inexpensive. Yes you can only open the curtains until the cup holder stops it – but you can add several curtain panels to each bamboo pole to cover the entire perimieter of your porch! The sheers I used won’t block light so buy opaque curtains that will block the light! You can buy curtains that are 96 inches long and either shorten them to 88 1/2 or let the curtains puddle on the floor. 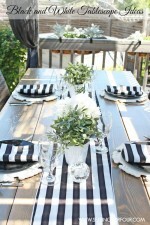 It will look gorgeous for your daughter’s grad party and congrats!! It all looks so pretty!! I love that candle chandelier too!